Tata Motors has taken a bold step to introduce performance versions of their affordable cars, the Tiago and Tigor. 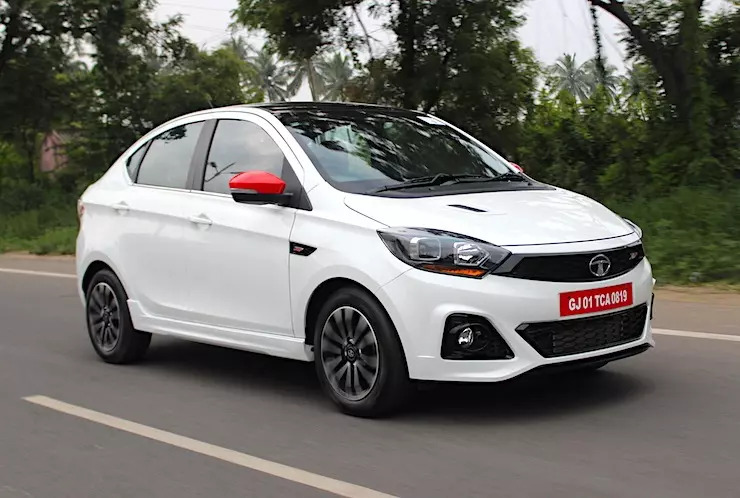 Launched under the JTP brand name, we drove these new offerings for over 200km across various terrains to see if they have created a new benchmark for fun to drive cars in the price segment. Both the cars continue to have the same 1.2-litre petrol motor that is offered in the normal versions. However, this motor has seen extensive changes by Coimbatore based Jayem Automotives : this is also the reason why these cars come under the JTP or ‘Jayem-Tata Performance’ banner. The 3-cylinder engine gets a new turbo-charger and this along with other modifications has bumped up the power and torque by 33%. 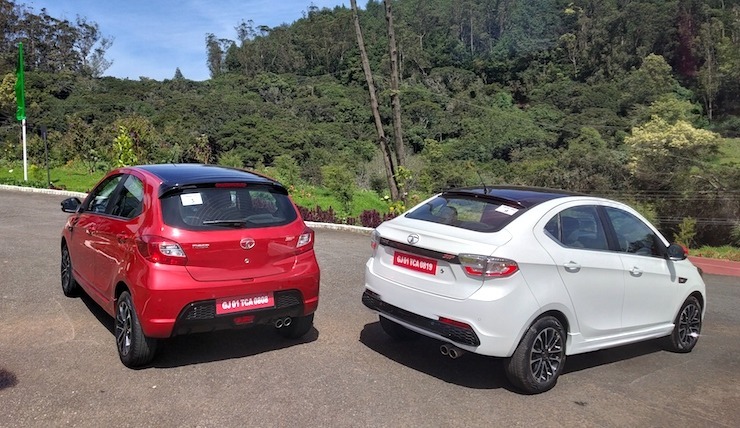 In terms of figures, both the cars belt out 112 bhp of power and 150 Nm of torque. The engines come mated to a 5-speed manual transmission which is a carry over from the normal cars. However, the 3rd gear and final drive have been altered for a better mid-range punch. Tata Motors claims the Tiago and Tigor can accelerate from 0 to 100 in 9.95 and 10.38 seconds respectively. During our drive, I had ample opportunities to test this out and the grin plastered across my face was the proof of the pudding. The cars are thrilling to drive and the lighter Tiago with its smaller wheelbase is a delight to pilot through traffic or twisties. While the exhaust system and air-intakes are limited to adhere to legal requirements for noise levels, JTP has confirmed after market kits will bring out the best from the cars. Even then, the blow off valve sound on the stock cars is addictive and so is the screaming engine past 5000rpm. Complementing the performance is the gear shift quality and a light clutch, just what you need to keep going fast enough. The JTP twins come with wider alloys and tyre size has gone up from 14 to 15 inches with width being increased to 185mm. The wider track and better grip also help in stability and braking. The cars do ride lower by 4mm and the dampers have been tuning in favour of handling. That said, on Coimbatore’s not so perfect tarmac, the cars handled bad roads quite well, further strengthening the fact that these are very much your everyday fun cars. Yes, you can potter around in traffic at 1500-2000rpm with enough low end torque from the engine helping you keep up with traffic. Performance aside, they have been given a makeover externally with completely revised bumpers and even a working bonnet scoop. During our drive, both the cars managed to grab quite a few eye balls with local enthusiasts pestering us in street racing! The only shortcoming in the package is the 3-cylinder set-up that calls for vibrations and roughness. Infact one of the test cars exhibited ample vibrations from the powertrain under full throttle ; you can also feel the jerks coming in via the gear lever. But one look at the sticker price and all these shortcomings take a back seat. Every reason for us to look forward to their next product, the JTP Nexon!